Codename Indigo is on a secret mission to touch down in a hot zone in over a terrorist drug organization and bring down the murderers and criminals by any means necessary! Load up on the most advanced weaponry because these trained terrorists will be sending everything they have at you. Bring them down in a hail of gunfire! 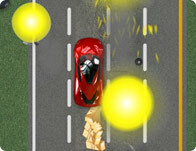 Use your mouse to aim and fire at the criminals as they come at you.